Yay! It’s officially summer. Bring on night swimming, BBQs by the pool and playing outside until 7pm. This summer, I have a secret weapon: an OUTDOOR MOVIE CINEMA! It’s beyond cool, and we’re going to get so much use out of it living in sunny Queensland. The kind team over at Smart Digital asked if we wanted to take the HandiTheatre Home Cinema for a test-run, and of course, I jumped at the chance. Setup is SO easy! I was dreading it, but I managed to do it entirely by myself, even with kids bugging me – yes it’s THAT easy! This system would make the perfect family Christmas present! If you’ve read any of my Christmas posts, you’d know that I’m a firm believer in ditching toys as Christmas presents and instead, giving experiences or a gift for the whole family. Details on the system we have! 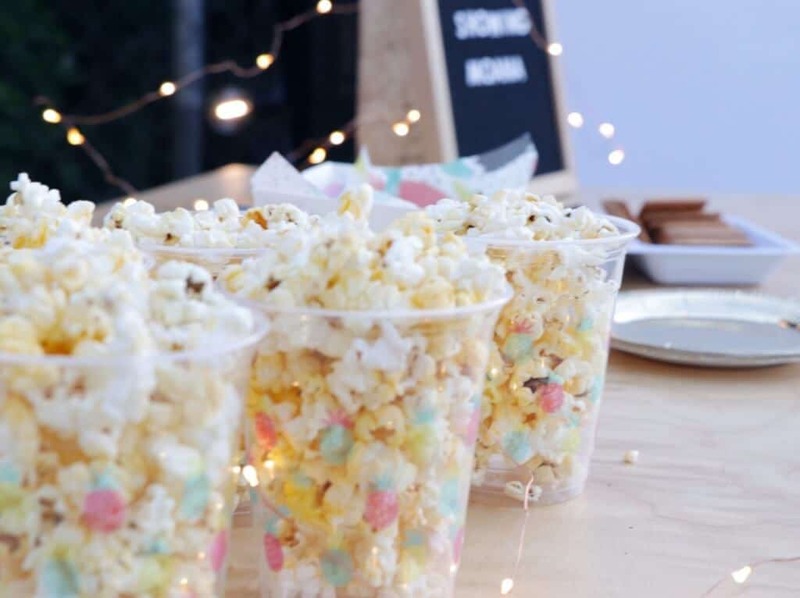 HandiTheatre® Home is an outdoor cinema package – great for backyard family entertainment, functions, watching the big game with friends, birthday parties… The list goes on! 2.5 metre blow-up screen will provide comfortable viewing for up to 50 people. It can also be used indoors if the weather is not good enough! This inflatable entertainment system brings professional quality cinema to your backyard. All you need is a playback device with HDMI output. 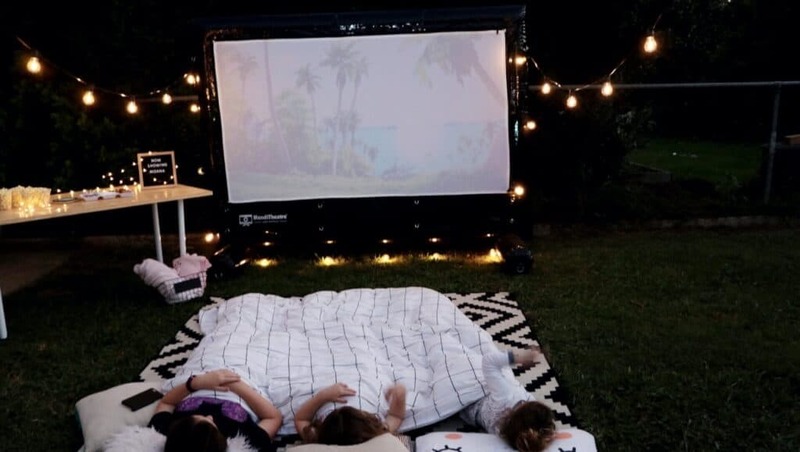 Inflatable movie screen with a viewing area of 2.5 metres in diagonal. It is quick and easy to set up with the supplied air blower. The screen has inflatable legs for stability. Screen surface is wrinkle-free. The projector can be placed both in front of and behind the screen. An upgraded projector with higher brightness and resolution is also available. 110W Bluetooth Soundbar with built-in subwoofer provides great 2.1 stereo sound. It features Bluetooth, but can also connect to mobile phones via the headphone jack, or use RCA cables. You can find the smart digital website and their Facebook page! 10 tips for super clean washing every single time! Where did you get your black & white mat from?